Perie holds semi-weekly small poetry crafting groups during the year in a warm, supportive environment to strengthen message, structure, music, and language. 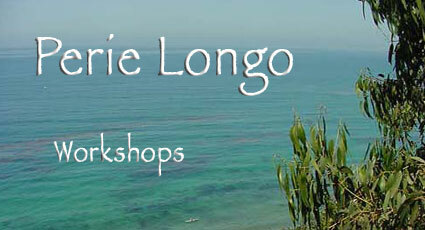 These workshops are an excellent way to enhance and inspire your writing life. She also offers individual editing support. Contact her for more information. Women discussing and writing about the joys and challenges of aging is the focus of this group. Those who have participated say the non-judgmental group is a catalyst to inspire and sort out your truth from everyone else’s. Humor is a large part of the equation as well as understanding of and discovery of a new self. Contact Perie for more information. Each summer Perie, Poet Laureate Emerita, leads a poetry workshop/retreat (www.sbpoetryworkshop.com) for new writing, crafting and discussion of poems Contact Perie for more information at 805-687-1619 or through email. In 2018 a one day workshop will be held on Saturday August 25th from 10 am-5 pm. Perie is honored to have led the morning poetry workshop for this conference since 1985 held in June each year. This conference draws together some of the finest writers as speakers and workshop leaders in all genres, and welcomes students both beginning and experienced. For current information, check out their website (www.sbwc.org).